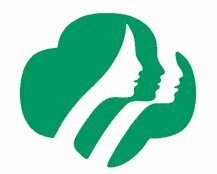 Girl Scouts of the USA is dedicated solely to girls. Girl Scouts of the USA is the world's preeminent organization dedicated solely to girls– all girls– where, in an accepting and nurturing environment, girls build character and skills for success in the real world. In partnership with committed adult volunteers, girls develop qualities that will serve them all their lives, like leadership, strong values, social conscience, and conviction about their own potential and self-worth. The Girl Scout Mission is simple: Girl Scouting builds girls of courage, confidence, and character, who make the world a better place. The Girl Scout program can change the way girls see the world and their place in it. Girls learn the importance of personal responsibility, the value of goal-setting, the spirit of teamwork, and the thrill of accomplishment. Relate to others with increasing understanding, skill and respect. Develop a meaningful set of values to guide their actions and to provide for sound decision making. Contribute to the improvement of society.